I suddenly realised I’d not done a caturday post and I’m off to a fair in a few minutes, oops!! 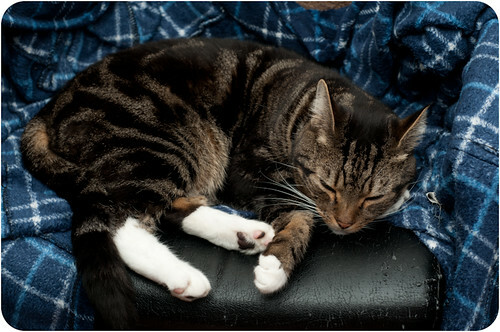 This is Arty’s favourite chair, especially when it’s got Daz’s dressing gown on it. It’s Daz’s office chair and every time he’s been working and gets up to make a cup of tea, Arty steals it!